WOW i cant believe its February already!!! Where is the year going too??? Im here this morning with the new challenge on MAWTT. This week we have a theme picked by me of Pastels. Ive gone for a fabby wee stamped image Ive had for ages. The card stock comes from a wee box of ready to make card things I bought about 7 years ago from QVC. Ive just been using wee bits at a time and not using all the elements. Its scary how much stuff I seem to have accumulated over the years!!! 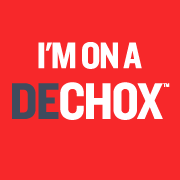 Oh My Goodness Ive done something really silly this week and Ive signed up to do a sponsored Dechox next month!!! Thats no chocolate for all of March!!!! Its all going to be in a worthy cause for The British Heart Foundation. Feel Free to sponsor me HERE. Creative Card Crew - Glitter. Gorgeous image and card Hazel. Fabulous card Hazel - stunning colouring. Don't think it would be much of a challenge for me to give up chocolate - don't eat much of that but if you were talking sweeties...... uuummmm that would be a whole different story lol!!! Hope your dechox goes well. Ooh a DeChox!! that sounds great way to raise money… I could make do without chocolate but not sure I could live without my mugs of hot cocoa at the moment! This is such a pretty image Hazel your card is gorgeous!! Great card hun, love her hair! Can't believe I missed this, it's lovely!